SANTA MONICA, CA (May 5, 2013) – TigerText, the #1 leader in secure, real-time messaging for the enterprise, marks the launch of its Small and Medium Business (“SMB”) sales effort today by announcing the addition of 30 new SMB healthcare enterprises in its first quarter of 2012 to its rapidly growing list of clients. 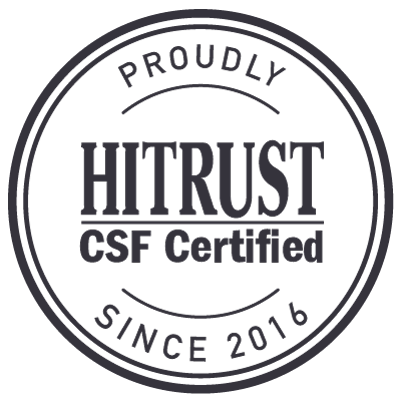 Unlike traditional SMS text messaging, TigerText provides healthcare organizations with its own private and encrypted network which is HIPAA compliant and can be accessed via employees’ own smartphones. A sample of TigerText’s SMB subscribers include: Hallmark Hospice AZ, HCI Medical Group, Albany Gastroenterology Consultants, Clinicore, Delaware Valley Plastic Surgery, and Dependable Dispatch Service. As healthcare communication enters the electronic age, the pressure on SMB healthcare enterprises to meet security demands to protect patients’ Personal Health Information (PHI) are at a critical juncture. Many SMBs do not have extensive resources and budgets to communicate and protect PHI as large medical networks do yet they still face the same HIPAA regulations and risks to incur costly violations. 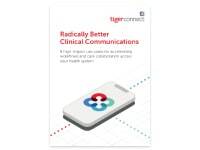 TigerText offers an affordable HIPAA compliant communication solution for both small practices and large medical networks alike. “TigerText has not only addressed our communication security issues it has enhanced our workflow, ultimately improving our level of care and treatment to the end user – our patients,” says Karen Brimmer, Practice Administrator at Albany Gastroenterology Consultants. TigerText has been adopted across practices of several specialties including Gastroenterology, Urology, Cardiology, Assisted Living Facilities, Skilled Nursing Facilities & Hospices, Rehab Centers and family practices. 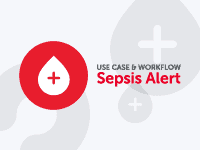 The application is available on any smartphone, tablet or web-enabled Mac or PC, making it ideal for organizations in which nurses may work on desktop PCs, while doctors and others communicate on the go. 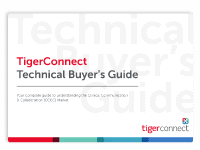 TigerText’s flexible platform and compatibility makes it unparalleled to any other product of its kind in the market today.